The 45th Regiment of Foot was a British Army line infantry regiment. Established in 1741, by 1745 the regiment was in Gibraltar and under the command of a Colonel Warburton, while two years later it was serving in Nova Scotia during Father Le Loutre’s War, the 45th being called out on active service. The regiment participated in the Siege of Louisbourg (1758) and the Battle of the Plains of Abraham. The 45th Regiment served for twenty years in Canada. The regiment also participated in the American Revolution, the Peninsular War, Burmese War, and the Kaffir War. During the Childers Reforms it was united with the 95th (Derbyshire) Regiment of Foot to form The Sherwood Foresters (Nottinghamshire and Derbyshire Regiment) . The 45th Regiment was raised in 1741 as Houghton’s Regiment, for service during the War of the Austrian Succession and Warburton’s Regiment during Father Le Loutre’s War and the French and Indian War. 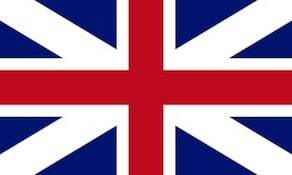 It was first posted to Gibraltar in 1745, before moving to Nova Scotia in 1747 for garrison duty. In 1758 the regiment fought in the Siege of Louisburg. which became the regiments first battle honour. From 1774 the regiment was in action in North America during the American War of Independence, fighting in the battles of Long Island, Philadelphia, Brandywine Creek and Germantown. In 1783 they returned home to Nottingham, where the citizens petitioned for the regiment to be named “the Nottinghamshire regiment”. This was granted the same year, becoming the 45th (1st Nottinghamshire) Regiment. The regiment returned to the Americas in 1786, spending the next 16 years, with one break, in the West Indies. During this time they saw action against the French as part of the French Revolutionary Wars, at Martinique, Dominica and Les Saintes. After an expedition to South America in 1807, fighting at Buenos Aires, the 45th returned to Britain, to take part in Wellington’s Peninsular campaign. In this they fought in every major action, winning the nickname “Old Stubborns” at Talavera, and being commended at Busaco and Badajoz. Following the end of the Napoleonic Wars the Nottinghamshires served in a series of colonial campaigns. In 1819 they were in Ceylon, and in 1824 in the First Burma War. In 1843 they were in South Africa for the First Kaffir War, and in 1851 for the Second. In 1867, now called the 45th Nottinghamshire Regiment (Sherwood Foresters), they took part in the Abyssinian campaign. In 1881, as part of the Childers Reforms, the 45th was amalgamated with the 95th (Derbyshire) Regiment to form the Sherwood Foresters.